It doesn’t matter what time of year it is, my boys are always walking around the house, humming Christmas carols to themselves. 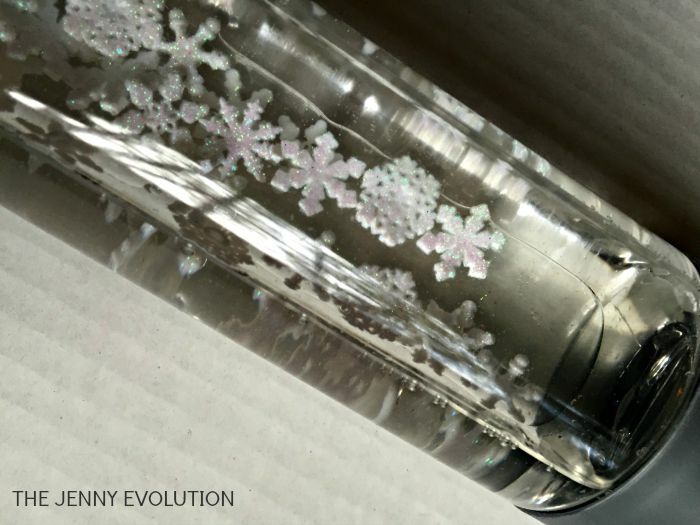 So while it’s warm outside right now, this Winter Snowflake Sensory Bottle will bring the magic of snow to your little one. Today we’re talking about the Letter S on Mommy Evolution as part of my Alphabet Sensory Activities Series. After all, S is for Snowflake! This post contains affiliate links. Yes, that’s really all you need! Fill the bottle 75% with baby oil. Add in water. 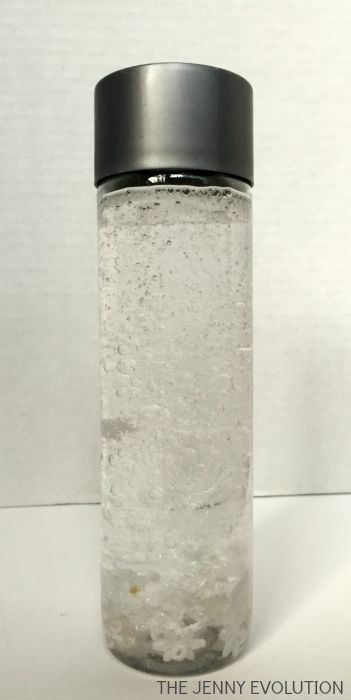 I like to leave some room in the bottle so my kids can really shake the bottle to make loads of bubbles. For kids, just the sound of the water sloshing can be extremely relaxing. Add in the bubbles from the water and baby oil mixture, and your child can get mellow out to the soothing sight of the snowflakes. To share on Facebook, click here! 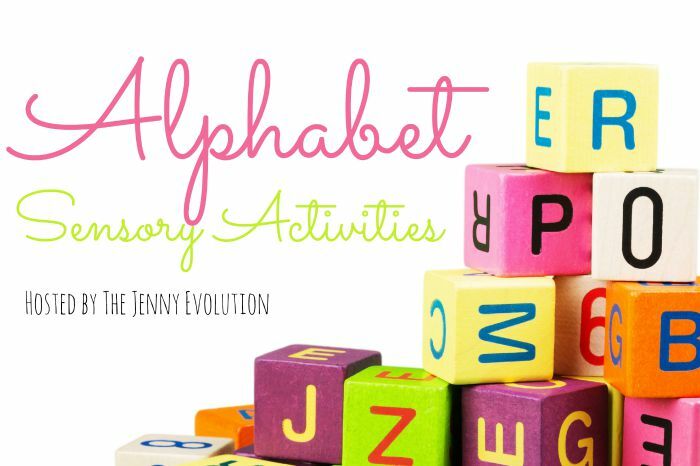 This post is part of the Alphabet Sensory Activities Series hosted by me and The Sensory Spectrum. 26 amazing bloggers have come together to share a sensory experience based on a letter of the alphabet every day this month! Make sure to come back every day or catch up at the end of the month.